Many of us want slide mobile phones to be the future again. Read more to know why! A Slide mobile is not just a phone. It is more than that. A near nostalgia. While many critics tell that it is just an innovation short-lived, we would say that it’s an experience much-cherished and a memory long-remembered. And like a Good Samaritan, the Blackberry dug up the technology again and it brings us its latest slide phone the ‘Priv’. So why not revisit the old days when slide phones were cool. Or, why not use slide phones again? Why not?! They are compact, durable, affordable, and texting-friendly! 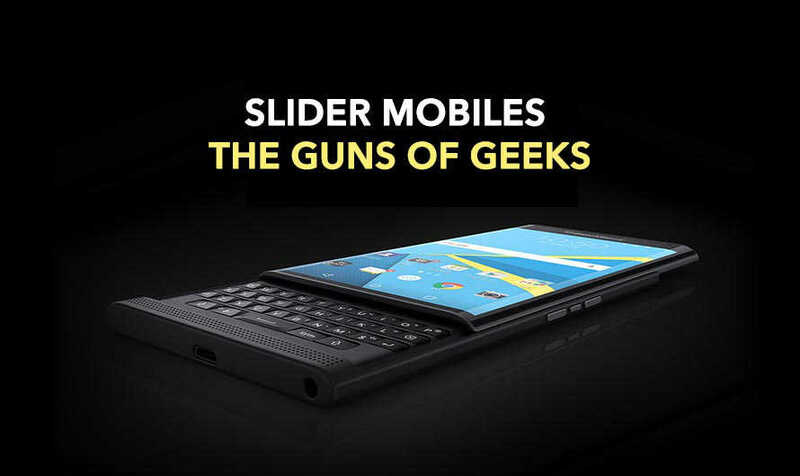 While you’re about to puddle in that dilemma, check out our list of top 7 slide mobile phones. Two of the main reasons this mobile makes into the list are; one it’s quite affordable and two, its sleek QWERTY keypad. 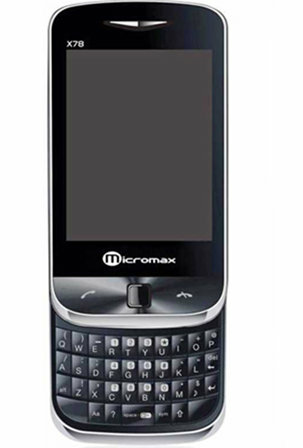 Micromax X78 was launched in 2011. The 2.8-inch touchscreen packs 143 ppi pixel density and 240x320p resolution. Priced at Rs 2999, the X78 doesn’t come with a front camera, but a rear 3.2MP shooter. Mainly, X78’s qwerty keypad is superbly smooth, which makes texting irresistibly flowy. Dual SIM technology, 950 mAh battery, Wi-Fi, Bluetooth, and FM makes the Micromax X78 a master of bare necessities. Next, comes another sanctuary of bare necessities, the Nokia C2-03. Launched in September 2011, this phone costs Rs 4999 and comes with a 1020 mAh battery, dual SIM technology, 2.6-inch touchscreen display, and a 2MP rear camera. Nokia slide phones used to be a mafia in mobile market a decade back, thanks to the good old legend: The Nokia XpressMusic 5800. The main feature of this phone is its build. The compact structure and rounded edges make this one fit right in the hand. Also, its well-polished hard keyboard with soft nudge-keys makes it a texting-friendly device. 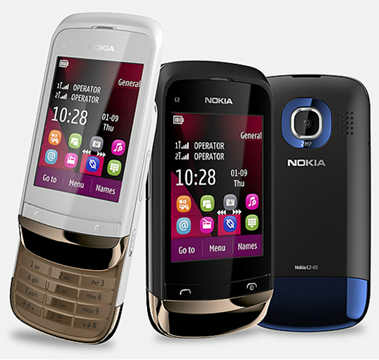 And the fact that it’s from Nokia house makes the C2-03 more special. Launched in October 2010, the Torch 9800 comes with a 3.2-inch touchscreen, 360x480p resolution, 512MB RAM, single SIM technology, 4GB internal memory (exp up to 32GB), and a 5MP rear camera. Also, this slide mobile is powered by a 1270 mAh removable battery and runs on Blackberry OS 6. Additional features of this beauty include 3G connectivity, proximity sensor, and Ambient light sensor. This piece of nostalgia comes at a price of Rs 5000. 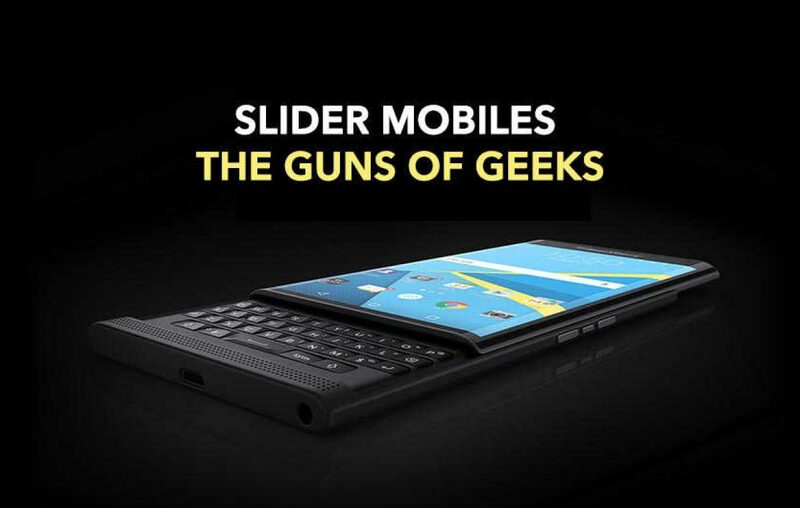 Blackberry is, and will be, the master of slider phones. And as many of you know, the brand has also mastered at qwerty phones. 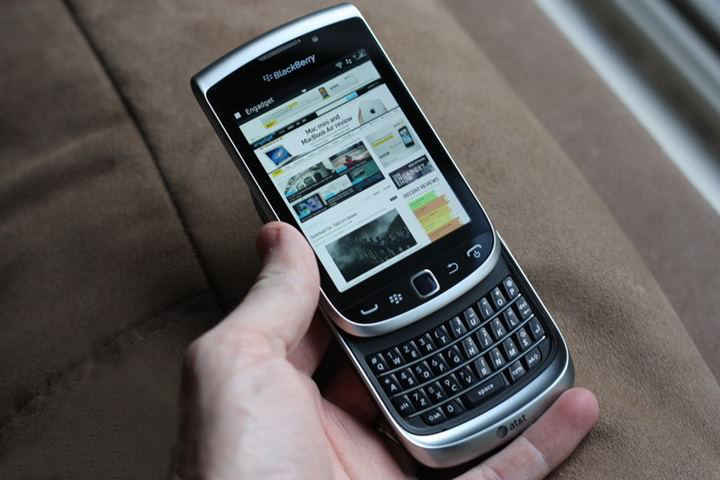 The Blackberry Torch 9810 comes with a 3.2-inch screen with 480x640p resolution, 1.2GHz processor, 768MB RAM, and 8GB internal memory which can be expandable up to 32GB. Launched in 2011, August, this phone does also pack a 1270 mAh battery, single SIM technology, Compass, Proximity sensor, and an Ambient light sensor. The Torch 9810 costs around Rs 6000. 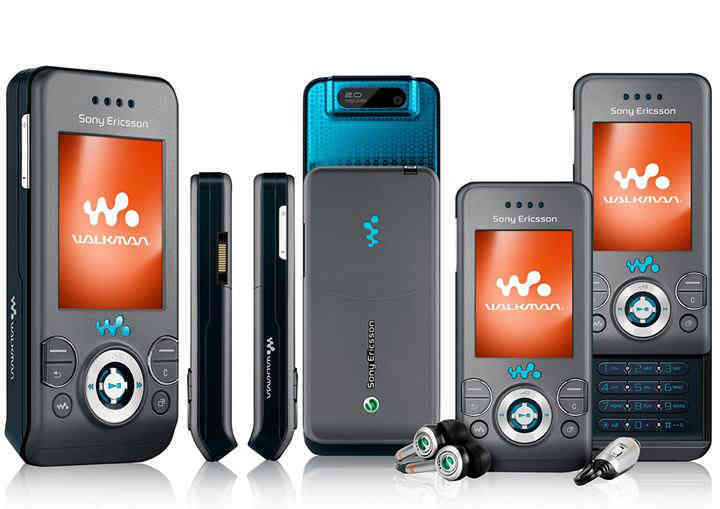 If there is one slider phone that has got all the attention for its style, it has to be Sony Ericsson W580i. Youth have gone crazy over this Walkman phone which was released back in 2009. Although it’s discontinued now, the fandom for this phone is still going strong. With a 2-inch display, 2MP camera, 930 mAh battery, and 12MB internal memory, this phone is now available on eBay for Rs 7500. A few rainbow features of this mobile are TrackID music recognition and a dedicated button for the music player. Sony Walkman, for a reason! 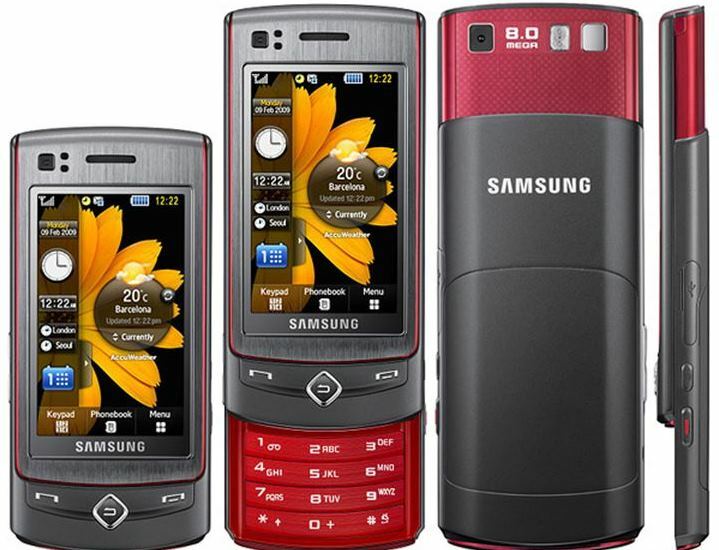 Released in 2009, the S8300 has been Samsung’s best slide mobile phone to date. The phone comes with a 2.8-inch AMOLED display, Corning Gorilla Glass, 240x400p resolution, 8MP rear camera, VGA front camera, and an 880 mAh battery. Also, the 8MP camera comes with autofocus, a LED flash, Geo-tagging, Face detection, and WDR features. If you’re a slide mobile fan and want a good camera, then definitely go for this. Though it is discontinued, it’s available on eBay at Rs 4000. Now comes the top gun. The Blackberry Priv, the latest and still-breathing-like-a-dragon slide phone was launched in 2015, October. This phone comes with a 5.4-inch screen, 1440-x2560p resolution, Qualcomm Snapdragon 808 processor with 1.4GHz speed, 3GB RAM, and 32GB internal memory, which can be expandable up to 2TB. 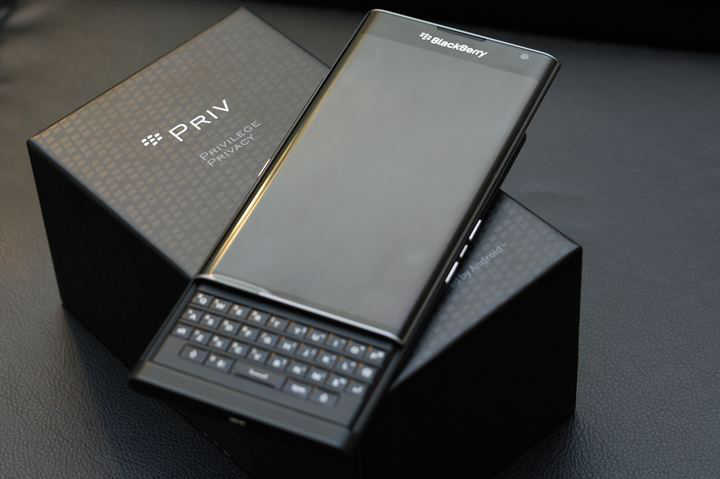 The Priv, with a tagline of Privilege and Privacy, runs on Android Lollipop and is powered by a 3410 non-removable battery. This high-end mobile competes with all other top class phones in the market today. When you talk about the advantages, slide mobile phones are very easy to use, durable over flip phones and many smartphones, and a comfortable physical QWERTY keypad where you can write a novel without even looking. Sliding out a phone not only unlocks the mobile, it also answers or ends a call. Some mobiles slide up and down and while some slide to the outside. However, it looks like you’re on a serious mission whenever you hang up by sliding down the phone. Try that, Corleone! Oh for that you need a slider phone. How about forming a secret rebellion to bring back slide mobiles! 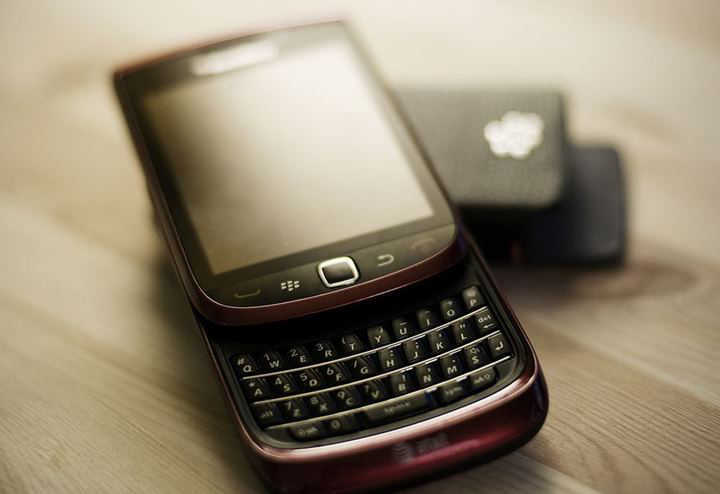 Next article Qwerty Mobile Phones - Power up your typing speed! Xiaomi Redmi S2 – Could this be the new sub-10k gladiator? New Mi Mobile phones you should take a look at it in 2018!